There's no better way to get around, either for recreation or labor, than the minecart. Minecarts can make a laborious job simple and a boring house fun. Minecarts are much simpler to use than other redstone powered items, and their application is pretty straightforward. For now, let's go into a little detail about how they work, later we will give some examples of their application. Minecarts behave differently in various situations. Before we go into detail, let's go over some general guidelines that govern how minecarts behave. 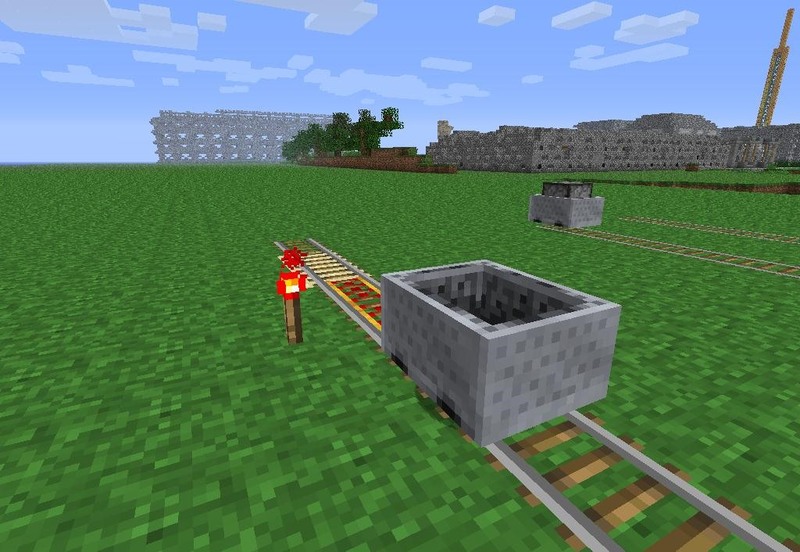 There are currently three types of minecarts: the passenger minecart, the furnace minecart for moving minecart trains, and the chest minecart for hauling items. 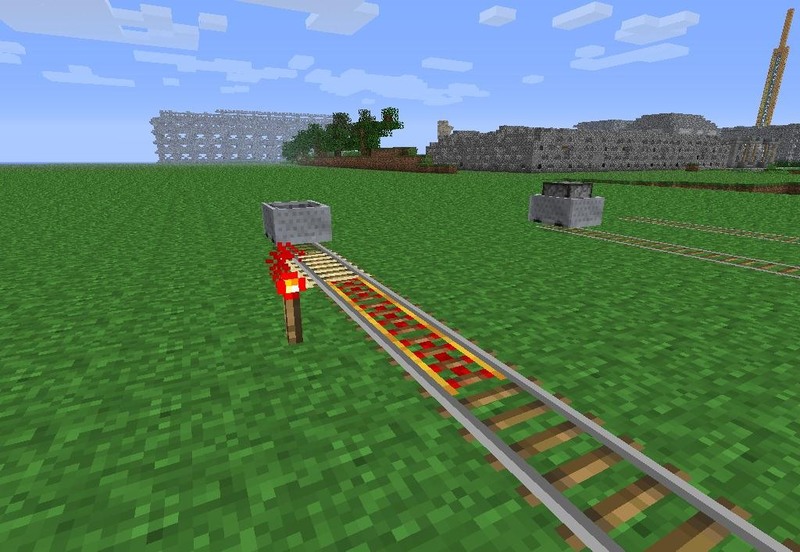 There are also three types of minecart rails: regular rails, powered rails, and detector rails. 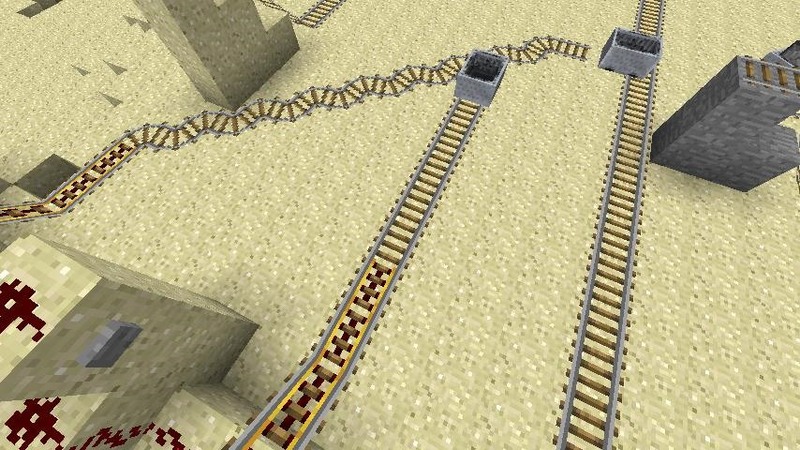 Regular rails are the workhorse of minecarts and are used most frequently, powered rails allow the player to power on and off sections of track and set the cart in motion, and detector rails are used as a sort of pressure plate for minecarts, because when you roll over them they activate a short burst of redstone. 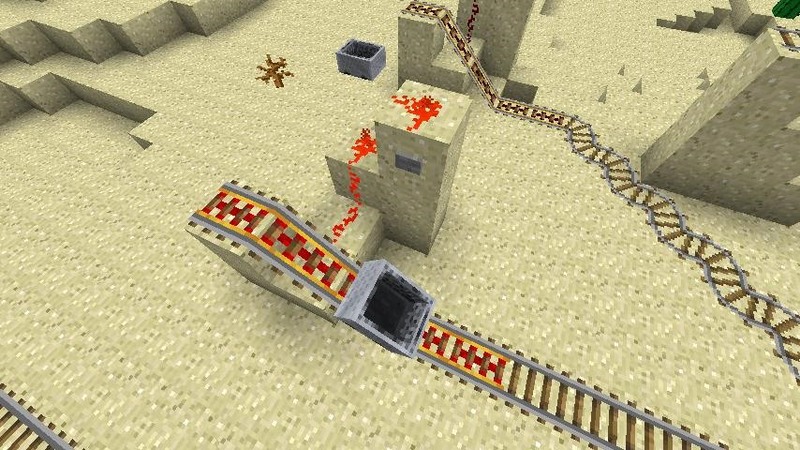 Detector rails are usually used to activate powered rails, but can be used to activate other redstone items. Minecarts have a speed limit of 8 m/s (8 blocks per second). However, this rule can be broken in some circumstances resulting in an actual top speed of 11 m/s such as track arrangement, downhill movement, or through the incorporation of powered rails. Minecarts will come to a stop when they interact with other minecarts, powered rails that have been turned off, mobs, blocks, or water. Minecarts lose energy and momentum over rails at a rate of about .5% per rail. In order to start a minecart going, it must be powered or set on an incline. It is not possible to push a minecart and jump in to get moving. 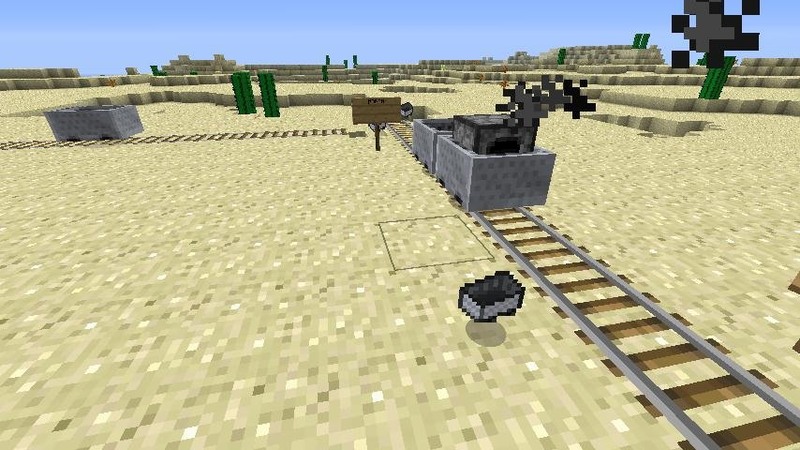 Minecart trains only work on track heading on a north/south direction. 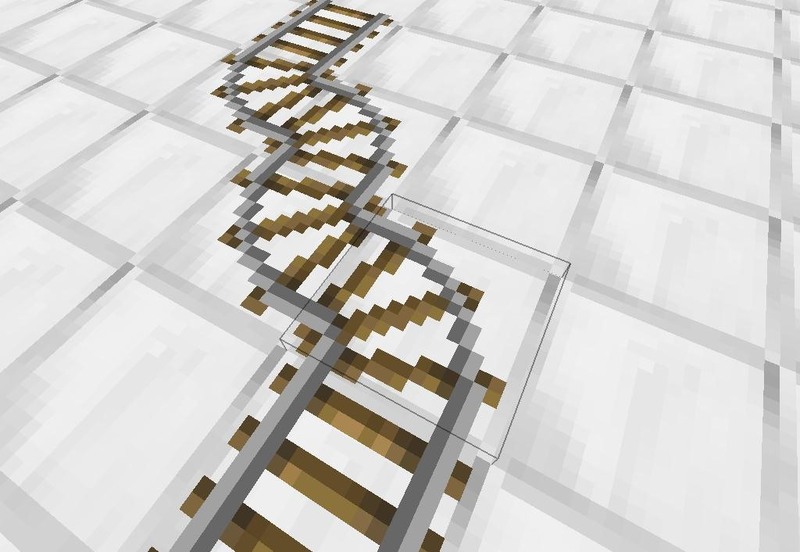 When a minecart traveling on a straight track encounters a curved track, it will continue on its predetermined path. 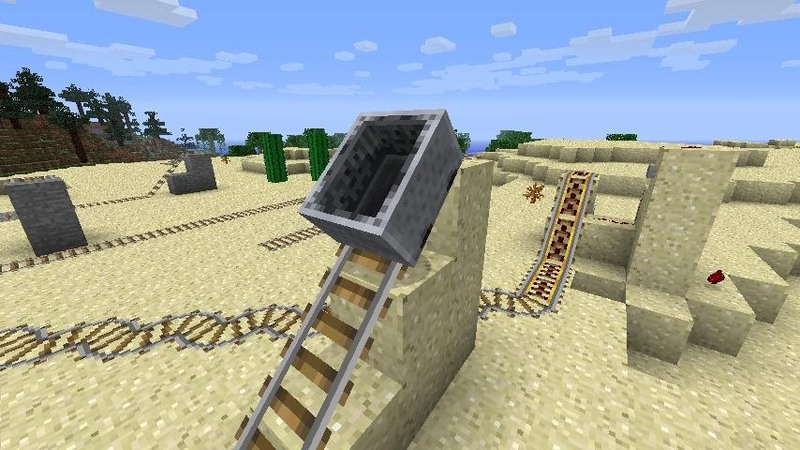 To get your minecarts going, you'll need to lay some rail. A minecart will not move from a stationary or level position without being acted on by an external force. This external force can be redstone, a furnace cart, or even gravity. As with all redstone items, the possibilities are endless and open-ended, but here are some examples of the most common ways to get minecarts moving. Gravity: The simplest way to power your minecarts is gravity. All you need to do to get a cart going is to set up a section of rails on an incline and set a cart down. However, this is tricky as you cannot control when the cart moves. It can also be inefficient, as the cart will not retain momentum for very long unless it is started on a fairly large incline and sustained by inclines of similar height. 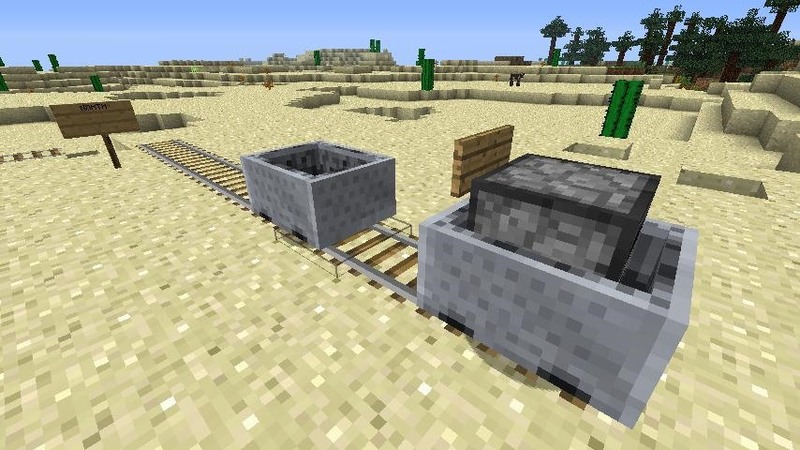 Furnace Trains: Making minecart trains is a much more effective and useful method of hauling goods to the surface or from place to place. 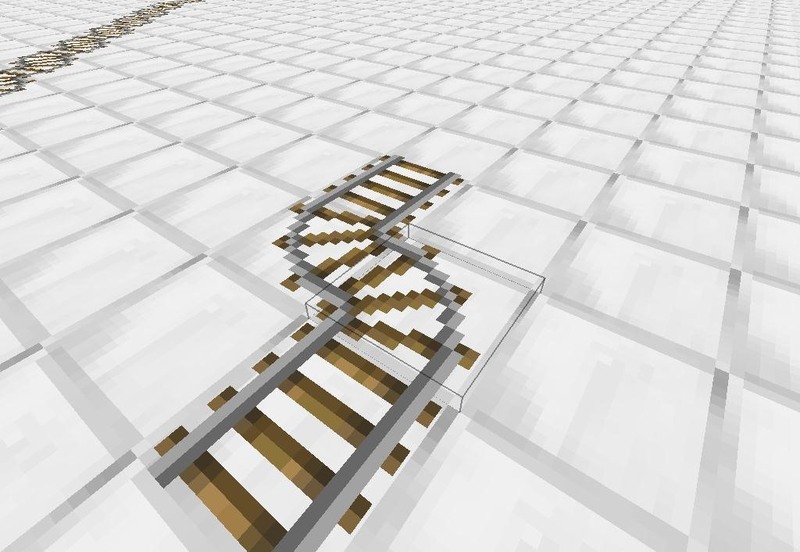 To create a minecart train, lay down some regular track with one open end. 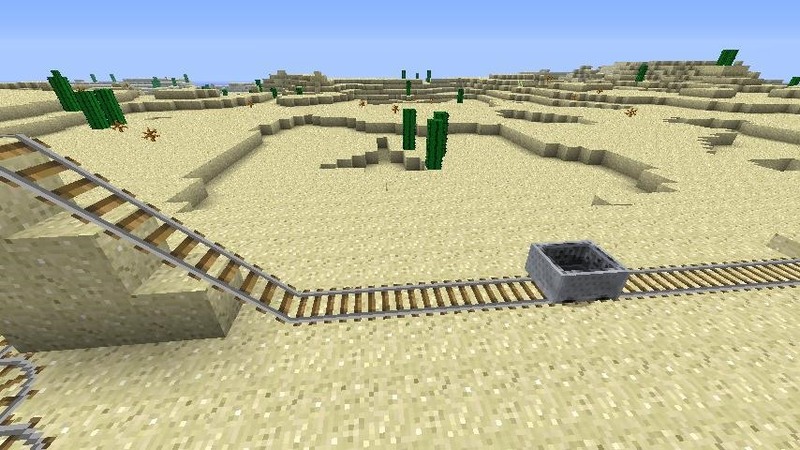 On the open end of rail, place a furnace minecart and a passenger or chest minecart on the other end. To activate the train, right click the furnace while holding coal or charcoal and the carts will move in that direction. Be sure to stand behind the train while activating it to ensure the desired direction of travel. 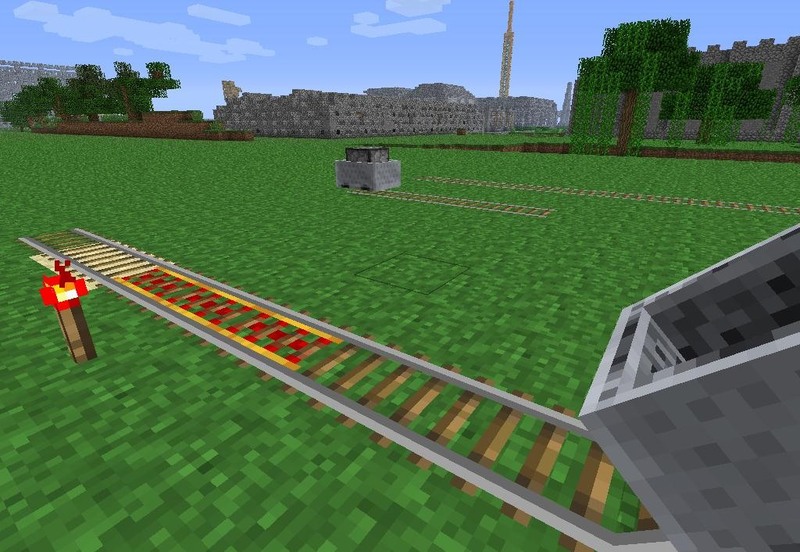 Minecart trains will work on rails that run on a northerly or southerly direction. (1) Here is my minecart train. You can attach chest or passenger carts to the furnace cart to get things moving. (2) By right-clicking the furnace cart with coal or charcoal you will send the train off in it's way. 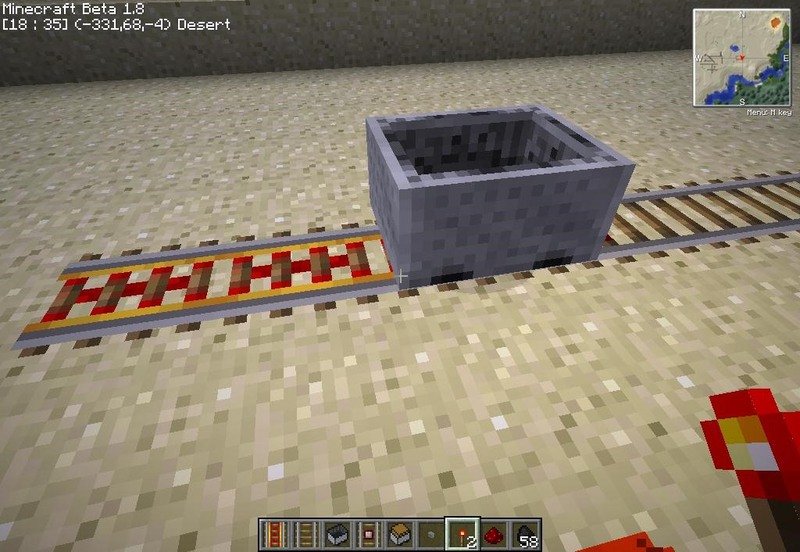 Powered Rails: Powered rails are really the most effective method of starting your minecarts. While they require more resource gathering to create, they are the easiest method of powering your minecarts. Powered rails basically stop and hold carts, and allow them to move when turned on. Your cart will still need to be on an incline in order to move on powered rails. However, if your cart is already in motion, powered rails will accelerate it in order to maintain momentum. 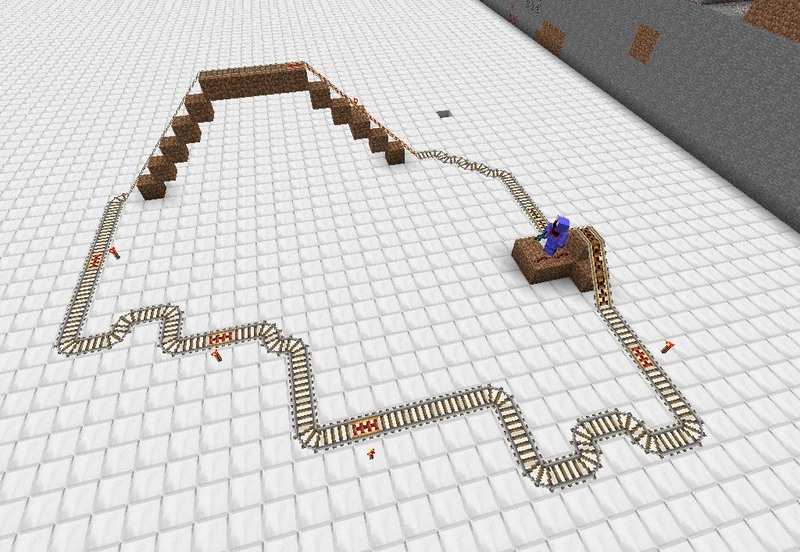 To start your minecart using this method, build an incline of powered rail. This can be a small incline of 2 or more blocks since the powered rails will help accelerate your cart once it has moved a rail or two. Place a cart on the inclined section of rail. You'll need to set up some kind of redstone activator to start the cart on its path. In my opinion, the best way to do this is using the stone button. (1) Here I have my minecart on a 5 long section of powered rail. Next to it is a stone button with redstone running down to the track. 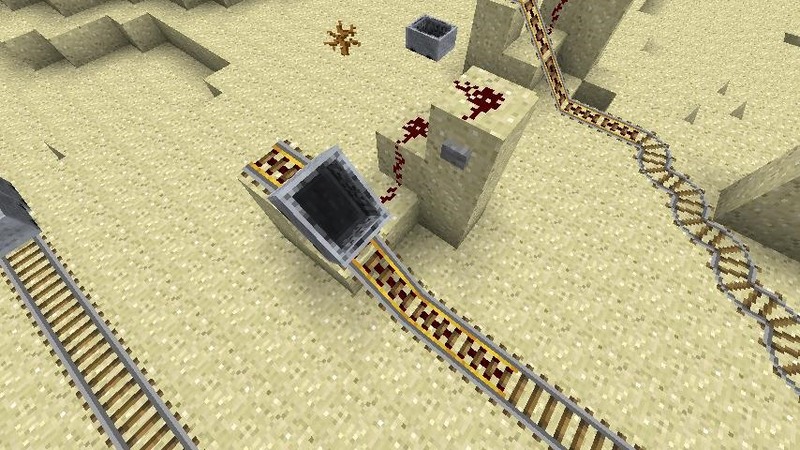 If you are using a passenger cart, be sure the button is in place so that you can hit it while in your cart, (2) With the flick of a switch the minecart will move. (3) The minecart will get the most momentum this way as the powered track both serves to initiate movement and accelerate the cart. Minecarts are subject to friction and can slow considerably. There are several ways they can maintain momentum, whether they're on their way to the surface or across a flat plane. The most common and simplest way to keep your carts going is to lay down powered rails. These can be activated by placing a detector rail before the powered rails. 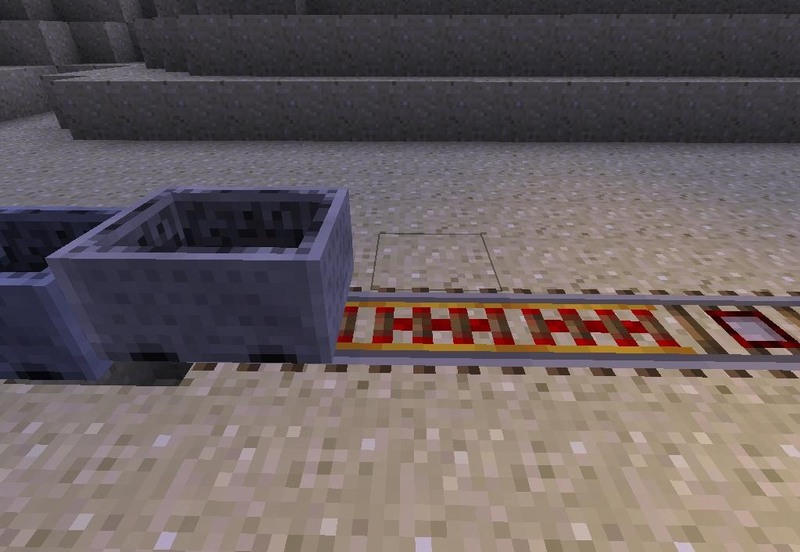 When the minecart rolls over the detector rail, it will activate the powered rails and accelerate or maintain the speed of your cart. 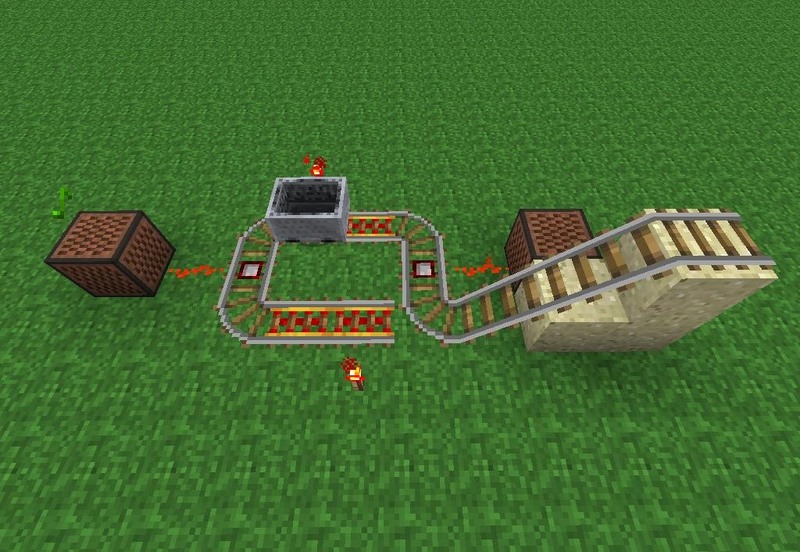 (1) Here the minecart activates the powered rails as it rolls over a detector rail. , (2) Here you can better see the detector rail. Detector rails do have a drawback, however, in that they will momentarily slow down your cart before it moves onto the activated powered rails. A simple solution to this is to place a redstone torch next to powered tracks so that they are always on. Placing a torch next to powered rails is much a much simpler solution. You can power powered rails by any method you can use to power redstone wire and so there are many possibilities. To maintain a speed of 8 m/s, it is most efficient to place one powered rail per every 32 non-powered rails. (1) Simply place rails adjacent to one another in a diagonal pattern. (2) As you place rails you'll get a sort of helix pattern and you will notice that when carts roll on these, they accelerate quickly. Keep in mind this can only be kept up so long and will need to be maintained still by powered rails. Besides its utilitarian function of hauling goods, minecarts can be made to do some cool things. Here are some examples of cool stuff we made for last Saturday's Weekly Workshop. Rollercoasters: By far one of the most common uses for minecarts is entertainment. You can do some interesting stuff with enough rail, and rollercoasters are certainly fun to experiment with. Here's a pretty simple example out of many. You get the general idea. 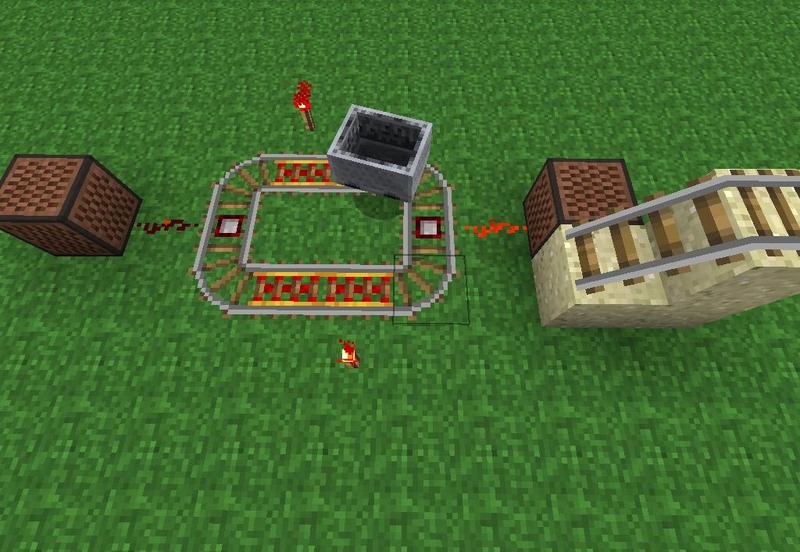 Redstone Clocks: Here is a redstone clock I made using a minecart that it set in a circular motion. Redstone wires run from the detectors, collecting a pulse that can be used for redstone machines. This kind of redstone clock isn't usually preferred since minecarts can be glitchy, but it is an interesting use of minecarts. (1) The clock is activated by dropping a cart down a ramp. , (2) The powered rails take it from there and send the cart round and round. In this case they are activating two note blocks at different times. Just as with redstone, minecarts can be used for just about anything you can imagine. Incorporating minecarts into redstone adds a whole new level of complexity to mechanisms and is fun to play around with. Whether it's a minecart subway or minecart mechanisms fully incorporated into complex machines, there are many possibilities. Whether you want to move ore more efficiently or you're just interested in making something cool, minecarts are a fun, all too often overlooked, tool for creativity. As always, if you have any questions about how minecarts work feel free to leave a question down below in the comments section. If you would like to see any of these minecart builds in person come onto the server and type, "/warp minecarts" in game. Since 1.3.2 all inclines will cause the minecarts to go into the ground. Is this common? "It is not possible to push a minecart and jump in to get moving." Despite being year old this is a great article that explains a lot I need to know without actually spoiling the exploration of functions by myself. How do you exit the rollercoasters?